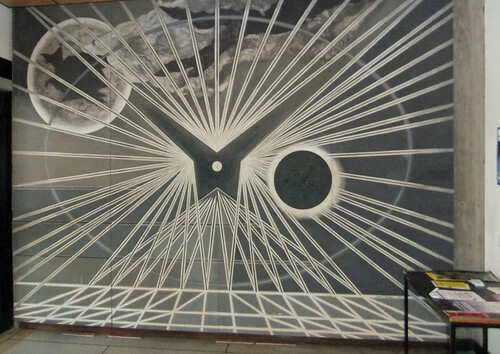 People at the Open Day on Saturday probably walked right past this amazing artwork on the wall of the entrance to the Applied Science building without noticing it. 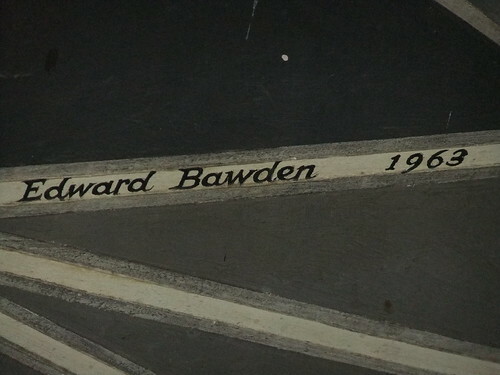 It was made in 1963 by Edward Bowden, quite a famous artist. He used expoxy resin and the lid of a coffee jar to get the indentations and shapes on the wall.